NEVER Buy an Eyeshadow Palette Again! Have you ever bought an eyeshadow palette with 12 colors that costed $50, but you really only use three of the colors? Trust me, I have. I have been such a fan of Z-palette’s and companies that make single pot eyeshadows. 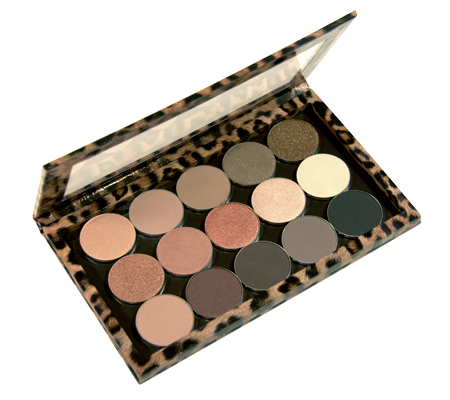 If you don’t know what a Z-palette is, it is a magnetic palette that you can put single magnetic shadows in! There are many pricey companies such as Mac and Anastasia Beverly Hills, but there are also very affordable companies such as Makeup Geek, Colourpop, and Morphe. Makeup Geek has eyeshadow pans that are stored in a Z-palette. This is my all time favorite eyeshadow brand! Their eyeshadows are the easiest to blend out of all of these three companies, and the convenience of putting them in a Z-palette is a definite plus! Their regular pan shadows are $6.00 each and their foiled shadows (which I highly recommend) are $10.00! This is the most expensive of all three, but it is definitely the best quality and cheaper than MAC! Colourpop has blown up this past year and I just had to try their products out! They’re most known for their liquid lipsticks, but their eyeshadows are also amazing! The one con about these eyeshadows is that it doesn’t fit in a z-palette and it is not magnetic. I have a lot of colors and I never know which ones I want to use so I have to lug around all of the individual eyeshadows. But the quality of these shadows are extremely creamy which makes it very different from most. The price of these eyeshadows are $5.00 each; you could buy 10 shadows that you will actually use instead of buying a $50 dollar palette of two colors you would use! I recently did a swatch video on the Colourpop shadows that I have; click here to watch! Lastly, Morphe is a company that sells $2.29 magnetic eyeshadow pans. You may be surprised at this price because I was at first, but understand that you definitely get what you pay for. I personally would recommend this company last just because the shadows are not as easy to blend and the pigmentation is not the best, but they do the job! I have seen so many swatches on Youtube and they look amazing, but every time I use this palette, it doesn’t give me the same color pay off as others. Do yourself a favor and do not get sucked into buying the gorgeous palettes and save yourself some money by buying individual shadows! I also just uploaded this video where I used a mixture of both Makeup Geek shadows and Colourpop shadows!